Can you imagine in Attorney General Loretta Lynch had recused herself from the Clinton email investigation after her tarmac meeting with Bill and then her deputy had appointed Linda Tripp as a special prosecutor to probe the “matter”? Obviously, that didn’t happen, but what did was just as strange: Sessions ended up in a potentially compromising position, but since he’s not one of the apparently unindictable Clinton gang, he recused himself and then his second in command, Rod Rosenstien, hired Comey’s BFF and fellow former FBI director, Robert Muller, to avenge Comey by selectively and vindictively targeting the Trump administration while ignoring the Clintons. 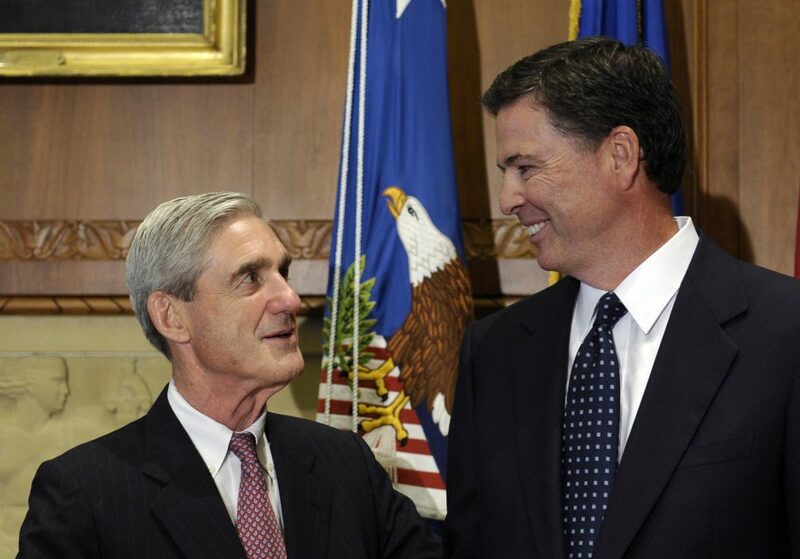 Former FBI directors James Comey (right) and Robert Muller (left) are no strangers to each other. Meanwhile, who in the DOJ is investigating the rigged DNC primary, the bogus immunity deals Comey handed out to Hilary’s staffers when he had already started writing the memo letting her off the hook for her private email server or the Uranium One deal which both Muller and Comey had a hand in? No one, that’s who. At least nobody honestly prepared to follow through on anything actionable. That should change. And since Muller has failed to recuse himself, a new special prosecutor is now needed to start investigating the existing one. It shouldn’t end there either. The Trump administration could hire special prosecutors to probe a lot of specific sketchy matters, from the IRS’ targeting of groups for political reasons under the Obama administration to Comey’s email-gate immunity deals, leaks, the tarmac meeting and more; anything that regular prosecutors cannot be trusted to pursue. Indeed, the DOJ has been doing crooked things since the days of J. Edgar Hoover with practically no real oversight of any kind. They target anyone who tries to hold them accountable and/or limit their power. Those they indict usually end up shunned like modern day lepers. They’ve turned the justice system into a giant racket that’s claimed far too many good peoples’ lives while real menaces laugh all the way to the Cook Islands, protected by the Phoney Comeys of the world. Hilary Clinton visits the Cook Islands, a well-known offshore tax haven. In the old days, FBI director Hoover abused his position to get blackmail material on those around him. Recently, conservative journalist Howie Carr, who for years has been documenting the especially-bent FBI office in Boston, asked President Trump if the bureau used the bogus dossier, partially-funded by the Clinton campaign before the Obama DOJ took interest in it, to wiretap him during the election. When Trump answered that he thought so, Carr was confused. Former FBI Director J. Edgar Hoover was famous for personally keeping secret files on politicians and journalists so he could blackmail them to stay in power. Let me add that I’m not convinced either, and the above doesn’t sound like the President Trump who fired Sally Yates then James Comey for not doing their duties. And why should they do their jobs and why shouldn’t they abuse their power, especially when they aren’t even accountable to the person elected to run the executive branch from which they derive their authority? After all, it seems that since Trump fired Comey, the leadership at the DOJ is out to get him. 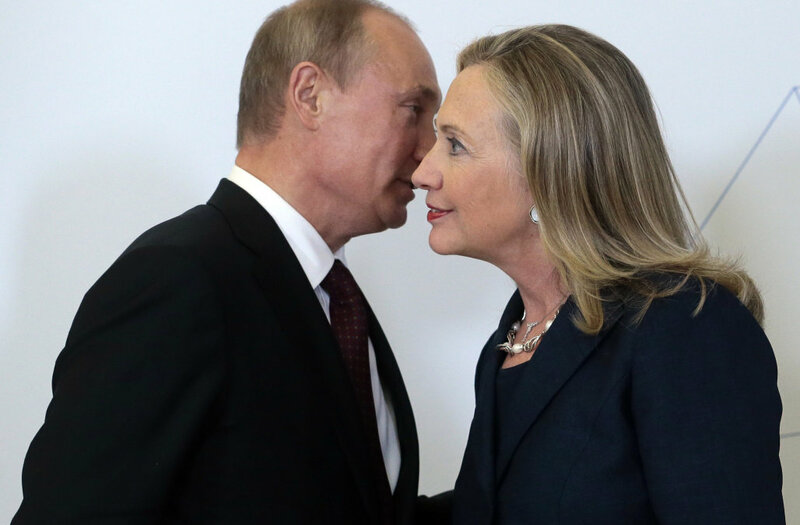 I mean, after they let Clinton mishandle state information, sell 20% of America’s uranium to Russia and allowed the DNC to run a crooked primary while wiretapping the presumptive Republican nominee, how dare Trump hold two of them accountable, right? Who does he think he is, The President of the United States of America?